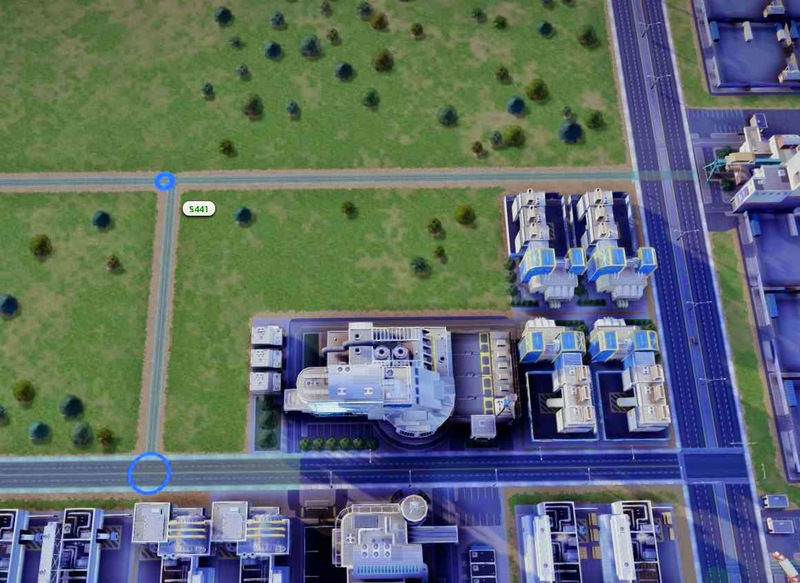 Let’s face it, SimCity is a buggy game. If you’re just now learning how to play, be thankful that many things have already been fixed since the game came out. For dealing with the bugs that remain, the key is to know which ones can be worked around and which ones you can’t do anything about. Ignore the advisors. They whine at every little thing and often at problems that don’t exist. Ignore the trash numbers. They often get bugged. As long as the trash is being picked up by the morning, you’re fine. Ignore the waiting times on mass transit. Those numbers get bugged and will often report gigantic numbers. Trade depots often get bugged and lose their trucks. Demo and rebuild the truck garages to get them back. 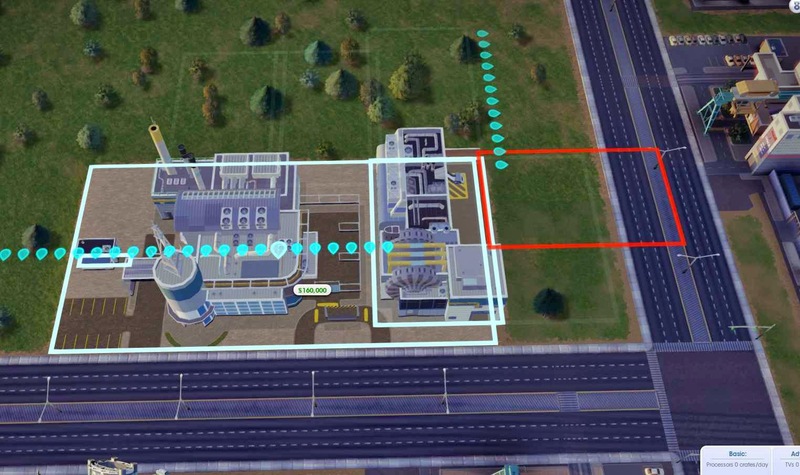 The Space Center has trouble completing construction on certain maps, but there is a workaround that allows you to get it to complete. This bug was fixed! The Arcology Great Work will eventually bug out and have uncontrollable traffic. This sometimes takes 15-20 years to happen, but is pretty much inevitable if playing for a very long time. In trade cities, you will occasionally get trade trucks stuck behind a traffic spawn point. Use Skye’s Regional Freeway mod to build additional entrances to your city and/or route trade trucks around the traffic spawn points. This mod is available for use in both online and offline game modes. Megatowers are notoriously difficult to keep happy. Some think that they are bugged. I don’t’ know what the official word is, but the only time I can get them to be happy long term is in a city where they are the only source of housing: High Wealth Casino Cities and Electronic Farms. Occasionally, a giant sinkhole will appear under a house. Demo the building to fix. Streetcar avenue tunnels will sometimes be impossible to demolish. There is a mod that allows you to fix that if it happens. There is an education bug that causes your city to permanently lose students to other cities. It’s only the students that ride busses that disappear to other cities and don’t return, so stick with the education buildings where busses aren’t required: Community Colleges and Universities. The process of claiming abandoned cities is bugged. You often can’t claim due to the original owner of the city having different DLC, but I’ve known people who were unable to reclaim *their own* abandoned cities. Your best bet is to not play in public regions. Play in solo regions or in regions where you have friends or Guild members joining you. That way you won’t have to deal with people abandoning cities. Exports occasionally get sold at $1 each instead of full price. There's nothing you can do to avoid this, and it can seriously hurt your bottom line. It's especially painful when it's computers that you're selling. 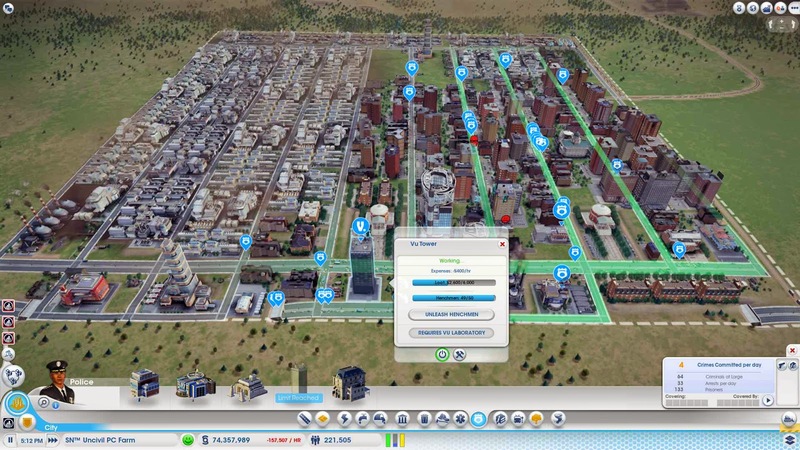 There are certain SimCity strategies that will make your life easier if you follow. Some are due to the way the game is designed, and others are work-arounds to bugs in the game. 1. Health Tip: Build residential areas upwind of polluters (industrial zones, trash dumps, coal/oil power plants, refineries, factories, mines, smelting plants, etc.). 2. Water Tip: Ensure a future supply of water. When you're able to afford it, build water pumps and sewer treatment plants adjacent to each other. Make sure you replace the default water pump with the filtration pumps to remove the ground pollution from the water though. You can see an example of this on the Traffic and RCI Tips page. 3. Education Tip: The key to keeping your sims healthy, happy, and preventing crime is Education, Education, Education. Once you have community colleges and Universities unlocked, demo the grade schools and high schools (and their bus stops). There is a bug that causes bused students to disappear, so you want to stay away from those types of schools. Plus, you don't need them. You can get by with just community colleges. If you want a higher tech level, go with a University. For more information on ways to increase tech level, read the Electronic Farming Guide. 4. Fire Tip: Once you can afford it, build one large fire station with only fire helicopters. Demo all the fire truck garages. For more on this, read the Fire Station Tips page. 5. 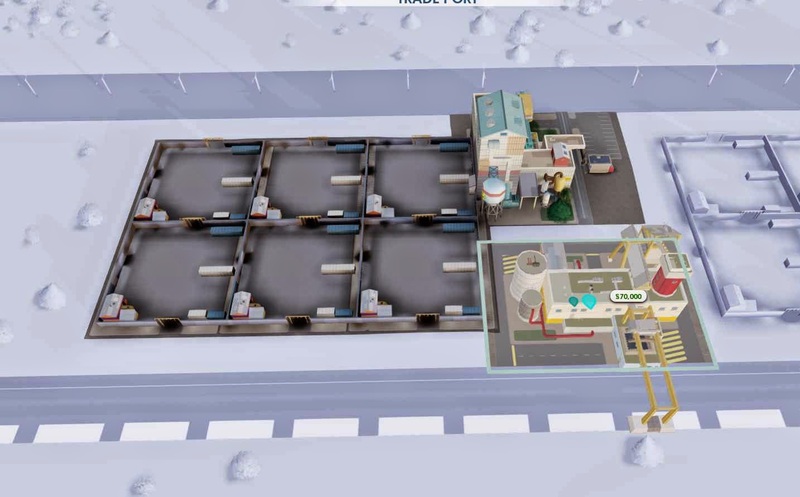 Trade Ports and Trade Depots: The game has some bugs which cause trade trucks to occasionally disappear. This bug occurs less frequently when you have only one type of storage yard in each trade port/depot. You can also have one type of export, one type of import. Just don't have two or more types of imports or exports. When all else fails, demo the truck garages and rebuild them. That will start you off with the correct amount of trucks again. Read more about this in the Electronic Farming Guide. 6. Money: Stick to the standard 12%/11%/10% taxes on Low/Med/High wealth zones. Read more about this on the Ideal Tax Rate page. 7. Tourism: When building a casino/tourism city don't build the municipal airport. Use airships or cruise ship terminals instead. Read more on the Mass Transit Guide, Casino and Tourism Guide and High Wealth Casino Guide. 8. Maximize your space and don't run out of money: Build slowly. Start with all dirt roads. Utilize the Road Spacing Guide to maximize your buildable area and plan your layout ahead of time. 9. Learn to use mods. Many of the mods improve the gameplay dramatically and are must haves for online or offline play. In particular: Skye's Regional Freeway mod, Multiplopper, Oil well service roads (read more about that one on the Trade Secrets page), and the Cam Mod are all must-haves. All of these are available for online game play. There's also many available for off-line games. These tend to be more for the advanced player as some of them are buggy or a bit strange to work with. To learn more about mods, read the Mod Installation Guide. 10. Youtube is a fantastic resource. 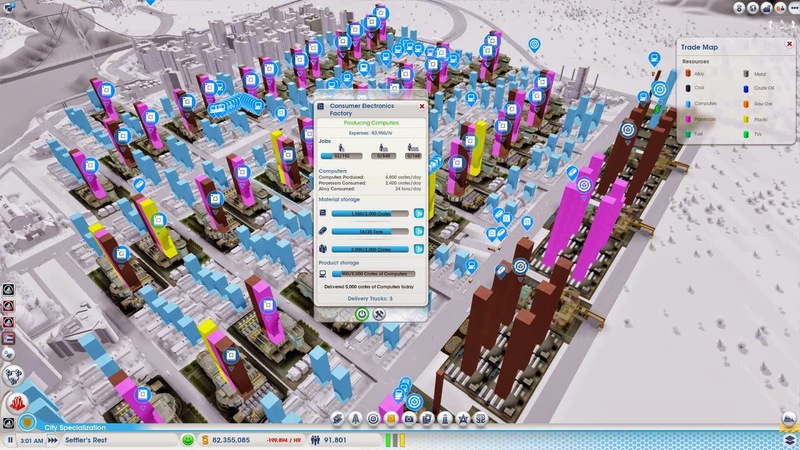 There are many great videos out there to help you learn how to play SimCity. In particular everyone should watch Skyestorme's videos. If you're a beginner, make sure to watch his 60 second tips. I have a list of many of these earlier videos on the Skyestorme Video Library page. I eventually stopped updating that page though, so make sure to check out his channel on youtube. Self-Promotion since I did take the time to write these tips out. I will continue to tweet my screenshots, but not sure if I will make more videos as they are really time consuming, but welcome those that what to following me on Twitter or subscribe to my channel. WARNING: the following tips were written prior to update 6.0 and this type of city will not be sustainable. 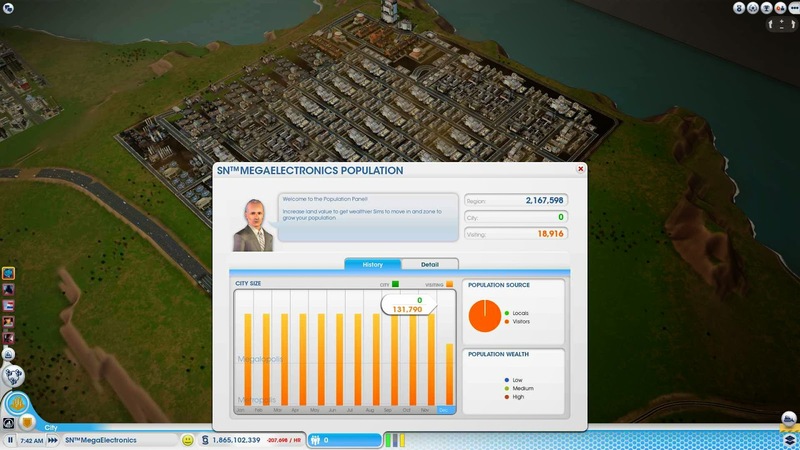 You are trying to reach the maximum amount of population and then leave the city, never to return again. Since this is the goal, gift all your money to neighboring city before you leave as you will not need that money any longer. 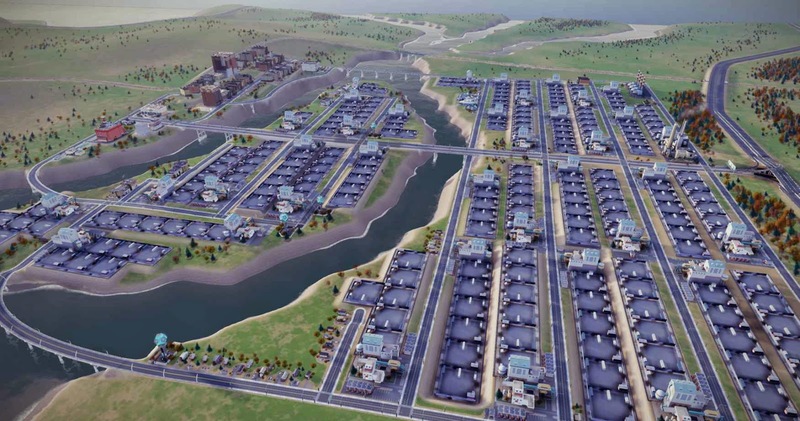 * After you claim your city, before doing anything else, go to region view and if you have neighbors, purchase Power, Water and Sewage from everyone you can. This will allow you to have extra money for roads. You can add these services to your own city later as it starts to grow. Sometimes there will be enough excess power, water and sewage from your neighbors that you never have to build these in your own city. This was the case for my 1.5 million population city. * If you have neighbors with more money than they know what to do with, ask for a gift. If you follow all my tips here in this document, you will not need any more than $1 million Simoleons as you will soon be earning $40,000 per hour. Yes, that is correct, $40k per hour. 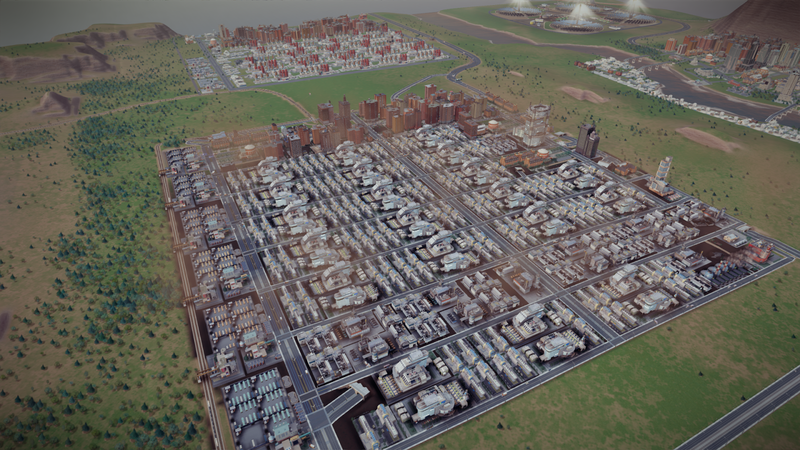 In my city of 1.5 million pop, I gifted my neighbor over $50 million that was in my treasury because I would never need it again as I would not be returning to this city ever again. 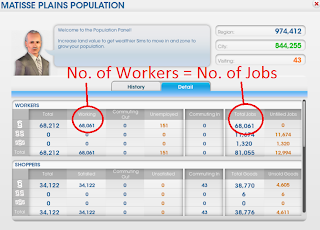 If you have a city with this much population, the city is like a house of cards and it will eventually collapse if you continue to play it as it is not sustainable. * Check the wind direction and start your road layout upwind. The reason is that you will want to place your services like the garbage dump downwind and if you layout your roads correctly, you will have a little extra space on one side of your map to maximize the space needed by services. * Do not add roads on the edges of the map. Use the road guides as you want to have buildings that touch the edge of the maps, not roads. You start in one of the corners the map that is upwind (upwind is the opposite direction of the arrow). Draw a dirt road sideways that totals $885 and then draw another road downwind by a total of $437. Draw a short section of Avenue at the end of the 885 road to mark your spot and then a dirt short dirt road at the corner of the 437 spot. 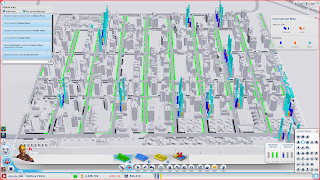 Your block will be 885 x 437 with Avenues running along the short distance and streets along the long distance. NOTE: if you have train tracks in your city, you may need to make some adjustments around those. * Build a grid layout (dirt road blocks at $820 x $437) as you are not trying to build a pretty skyline. (For reference see the Road Spacing Guide). Once you have your road layout, upgrade all streets and avenues only to medium density. You will need to keep checking the Density Map and wait until almost all the buildings have a happiness of 660 and the bars are green. A few yellow bars will be alright. 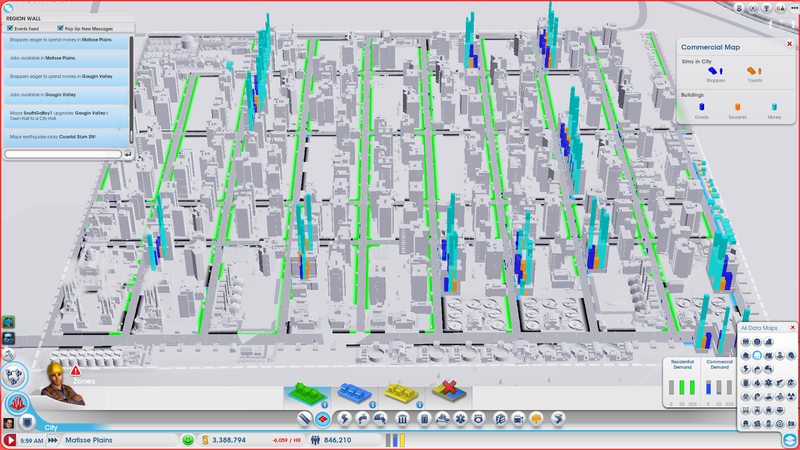 Once most of the buildings are at max medium density, upgrade all your streets and avenues to high density and just watch how fast your population with expand. Uncivil Engineer's Tip: I've found that the $820 x $437 will sometimes leave you just a tad bit short due to slight sloping in the land. I've been using $822 x $439 just to be on the safe side. 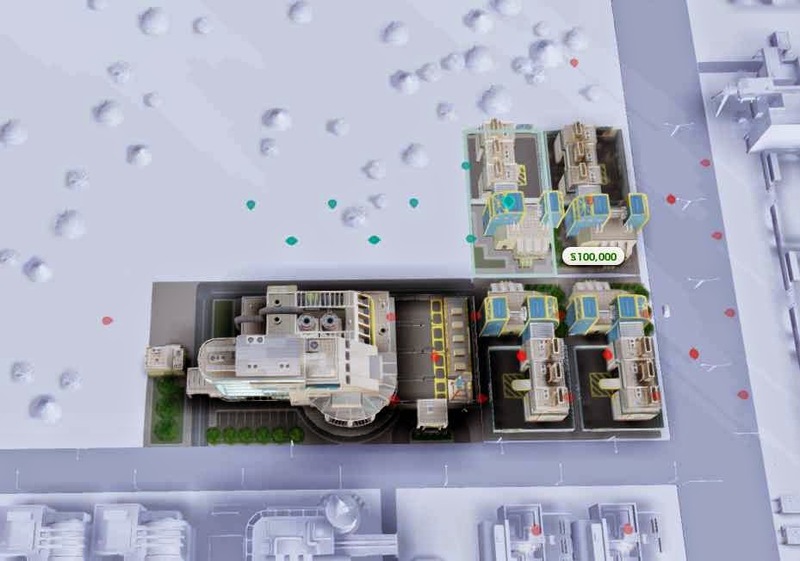 If you find a plot won't grow to be a large residential building, you can try placing a high school building (they have the same dimension) and see if the adjacent buildings highlight themselves, meaning there's just not enough space. * Increase your taxes for low wealth to 11% and leave it there for the entire time as you will only have low wealth residential and they will not complain at this rate. Then set your medium and high wealth taxes to 20% as you do not want those buildings in your city. You only want low wealth when trying to get high populated cities. * If you do not have neighbors to gift you money at the beginning, then start with dirt roads and upgrade roads after you have your city covered in zoning. 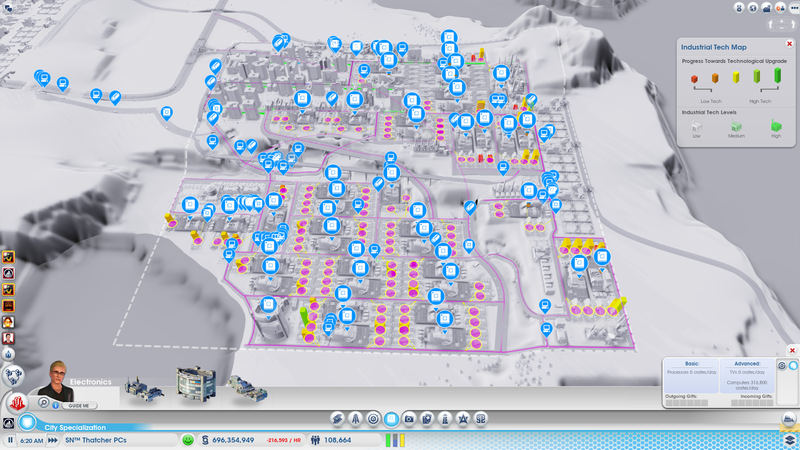 If you get a gift, then it is best to pause your game, layout your roads (medium density only), all your services, zone your entire city (starting furthest from the city entrance) and then un-pause. You will want to keep check often to make sure you always have enough services. * High density streets are better than avenues as they take up less room. I personally use a mix of Avenues and Streets and I do not use mass transit. 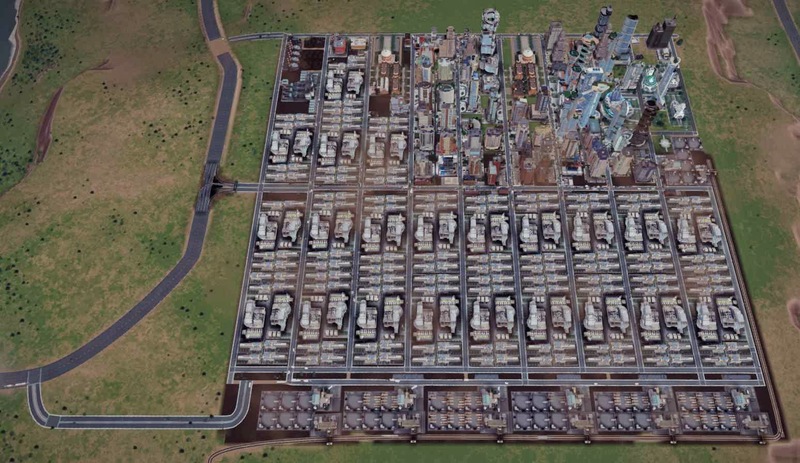 Mass transit uses space that can be used for residential buildings and sometimes they do not help all that much when trying to pack a lot of sims in your city. * In the beginning, zone Commercial all along the outside edge and several blocks in the middle of your city. You will want to have zero unemployment while you are at medium density. 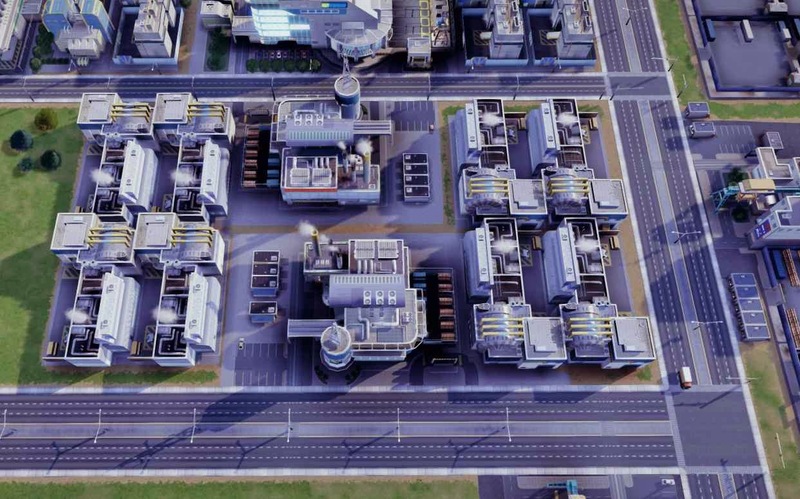 Once you have upgraded all your buildings to high density, you will want low unemployment, then pause the game, bulldoze all your commercial buildings, dezone commercial and then zone residential. 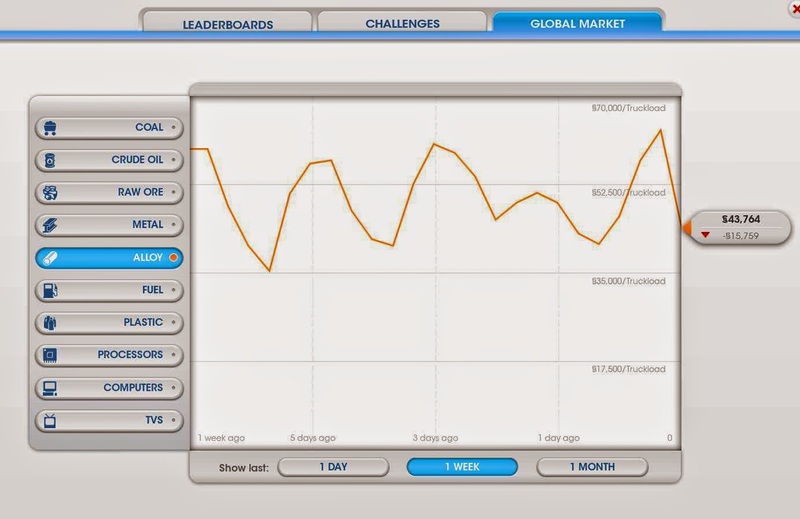 Now you un-pause the game and watch your city go to new highs. 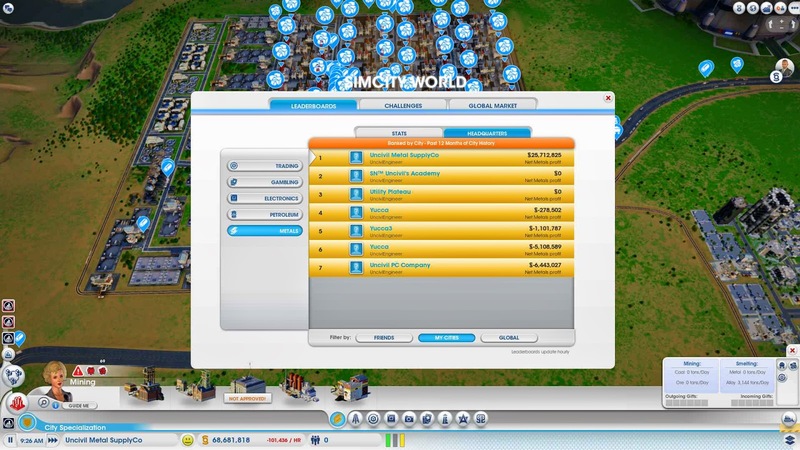 With no commercial, your sims will be unemployed, no money to spend nor anywhere to spend if they did have money so you will see that the streets will empty and you will not have any traffic. * Do not zone the entire block; zone only on the street leaving your avenues as throughways. If the building's front/back are not on the avenues, you will not have cars driving out of the buildings onto the avenues helping with traffic issues. * Schools are very important as they help with services like Fire, Health & Police. * Do not add Clinics or Police until you get around 5 Deaths and Crimes per day. Your city will not suffer much with this amount so save your money to build roads and upgrade roads. * Only add a fire station when you get tired of bulldozing or when you start to see your city growing to medium density. Again, this is just to save money for other needs. 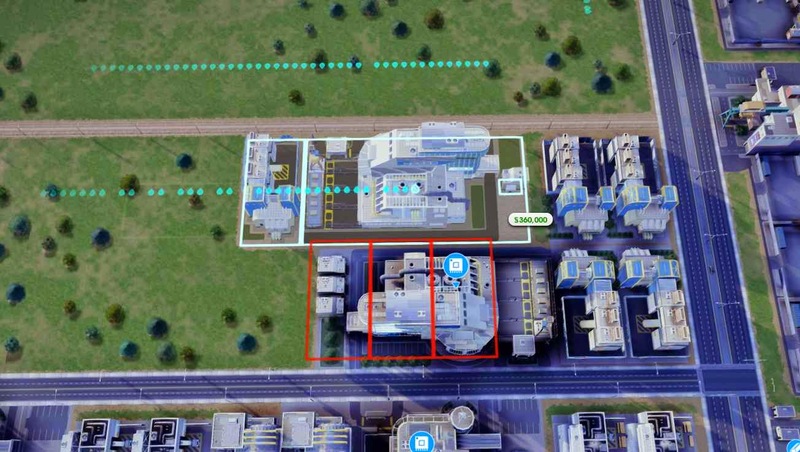 After your city matures and it is time for the Large Fire Station, you should use only helicopters and bulldoze the small stations you may have. * Add a Garbage Dump once you have about 500 cans to be picked up. Continue to add truck garages and incinerators to the dump as you need them. Eventually you will need 2 maxed out dumps for very high populations as you do not want garbage not picked up as that will create health issues. * In your quest for high population, it will take some time so you will surely have a few disasters. The odds are that disasters like earthquakes and tornados will hit more in the center of your maps so it is better to only have zones in the middle and have your services on the edges of the map. One disaster you can prepare for which is the lizard. What this short video to learn what to do if the lizard strikes. 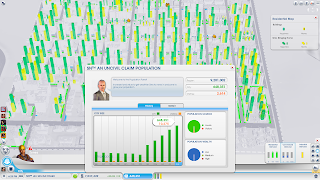 If anyone else has great tips for building high population cities, please leave a comment. Important! Since the potential population count decreases with land value, the goal will be to end up with as much high density, low value land as possible. 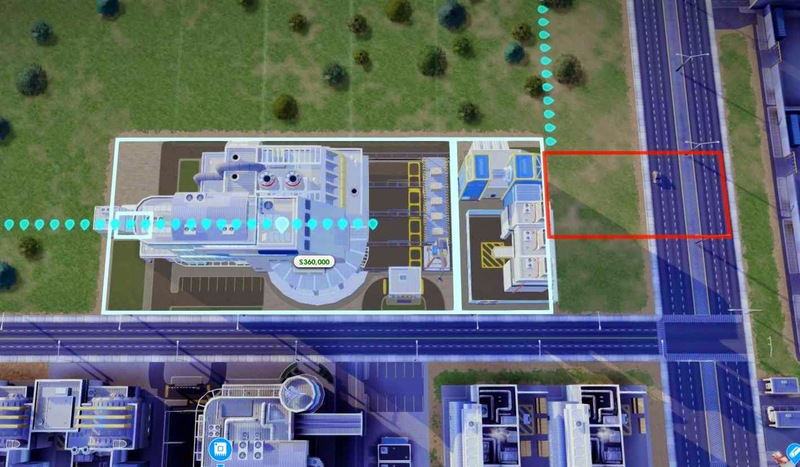 Note: As you build, place your facilities on the exterior of the map, as close to the edge as possible. A good school system will come in handy later with controlling crime and sickness. 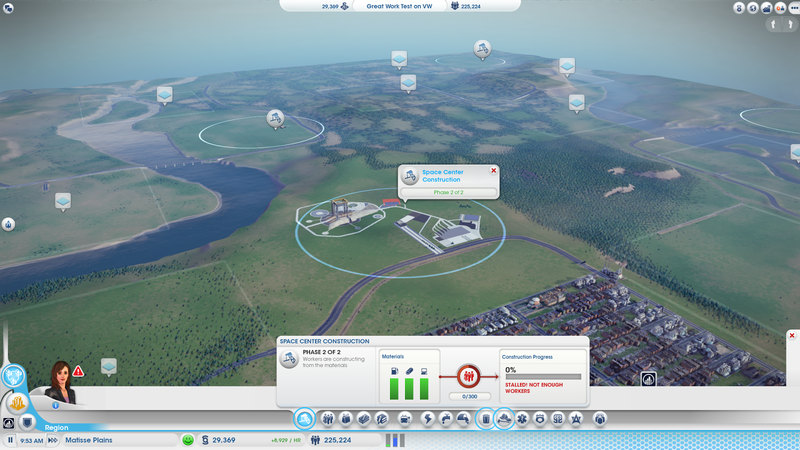 As I go, I like to build two high schools, one on each side of the map, near the edge. When they fill up, add an extra story on top. To start, build two clinics and two fire stations. One on each side of the map, centrally located but on the edge. Eventually, you'll want to demolish this and go with one hospital on the edge, centrally located. 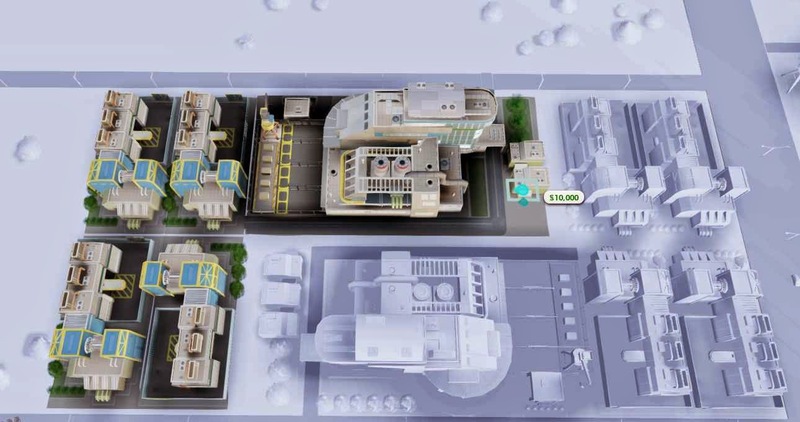 After you're making lots of money, you'll be able to demolish your small fire stations and should be able to get by with one large fire station with 4 helicopters. I suggest demolishing your fire trucks and only use the helicopters, dispatch tower and fire marshalls. 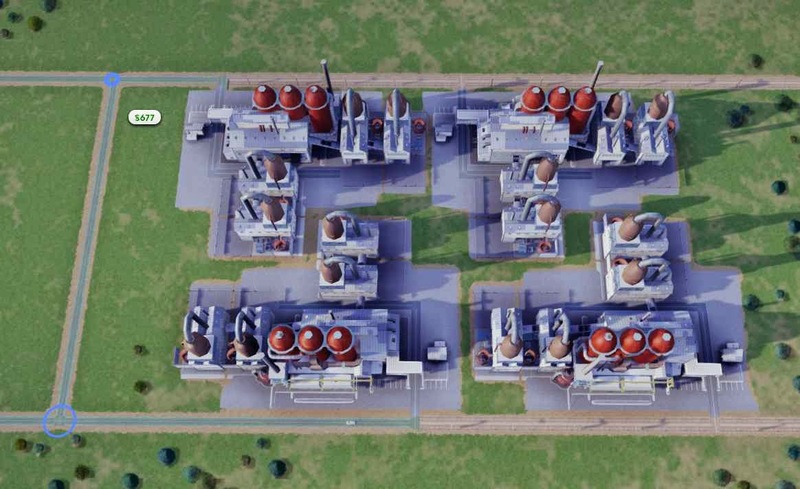 Add a Garbage Dump with 4 trash incinerators. If you notice your trash is not being picked up, or trash is collecting in the dump, add a second dump with 4 incinerators. At first you can get by with wind or solar power, but you'll want to switch to oil plants. Make sure you check off "Use global supplies". 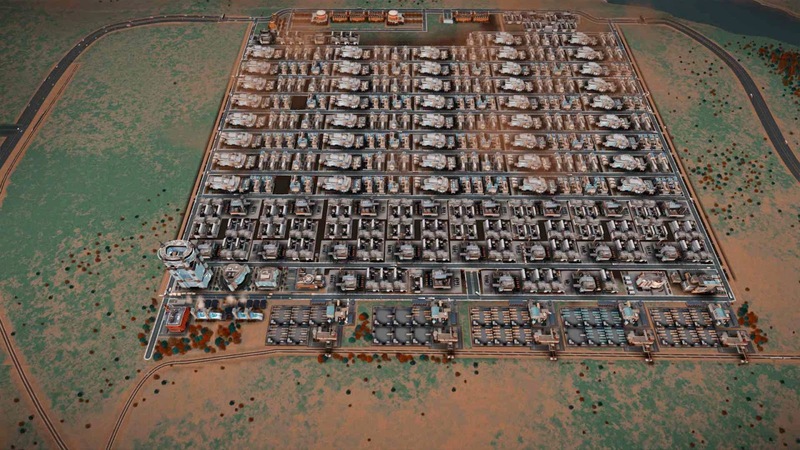 You'll also want to add a trade depot with 4 oil storage areas and set it to import. Don't use coal because the output is about 50% of oil. Nuclear is effective, but you'll need a good education system and it requires more water. Plus, it's REALLY easy to accidentally cause a radiation explosion by demolishing it when running. If you do that, just quit the map because your quest for 1 Million is impossible to achieve with radiation damage. Do not place the mayor's house or mansion, it will increase the land value around it, thus diminishing your population count. 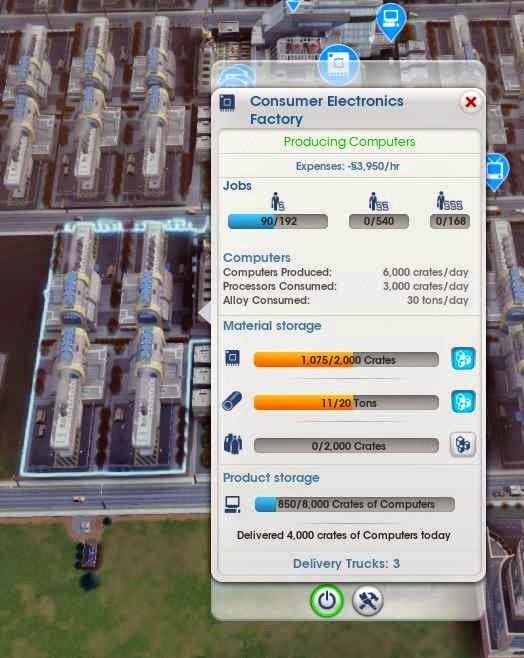 With Update 6.0 now in effect, you will need to include some industry in your initial layout. I like to put it on one entire edge of the map, preferably the downwind side. 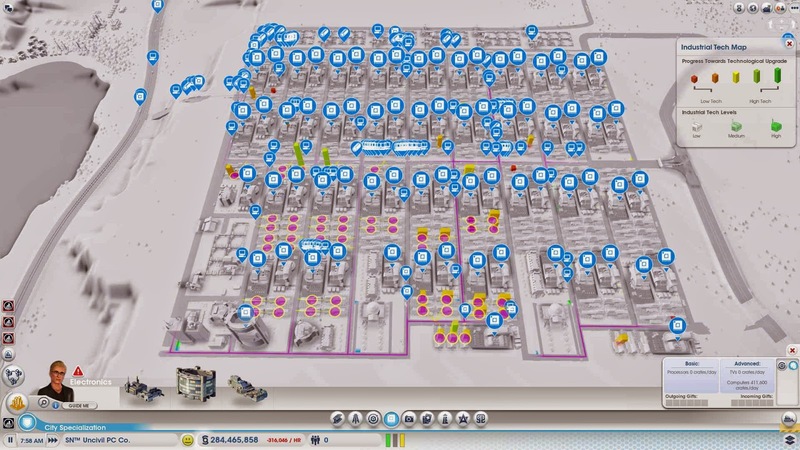 If you’re trying to max out the population in your city, it is beneficial to outsource your power, water, sewer and trash to a neighboring city plot that you also have claimed. When you use services located in another city, you pay them a small fee. It seems like the fees are much less than what the normal cost is if it had been located within your city, so it's really a great way to go. 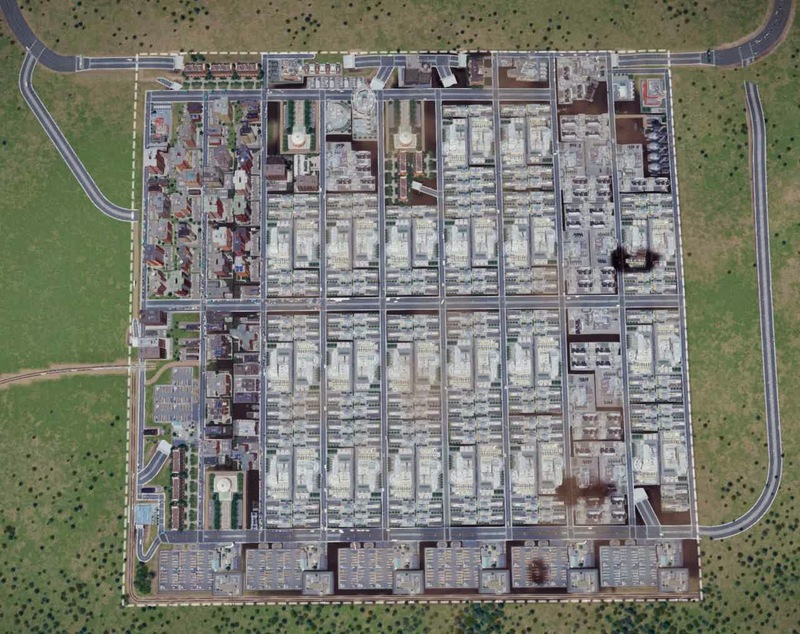 At the end this 1.5 Million Sim City had: 1 dump, 1 high school, 1 precinct, 1 hospital and 1 fire station located within it's borders. Offsite, there was numerous power plants (you can see a few in the upper left of the photo), water pumps, sewage treatment and trash dumps in other neighboring cities. 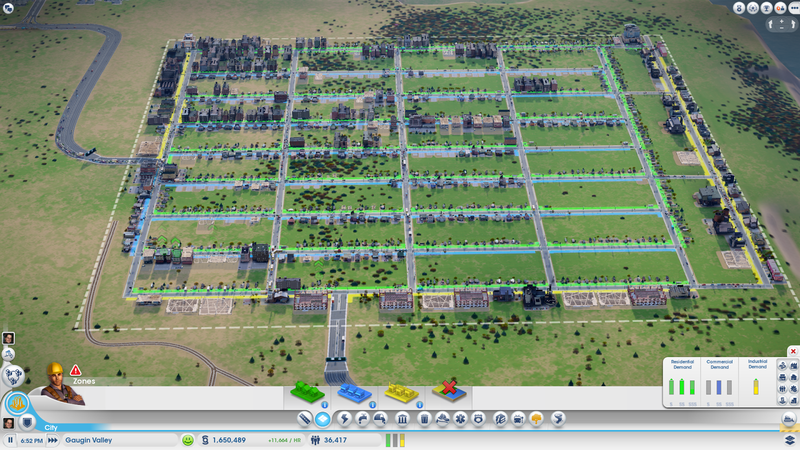 I’ve been able to create cities of 1.5 Million in population with no power, sewer or water facilities located within it's limits (see photo above). In fact, it’s pretty much a necessity if you want to hit 1.5 Million just based on the amount of space that those utilities normally take up. However, you’ll find that the full potential of those off-site resources never quite gets utilized. It feels like they allocate out a certain percentage to each city plot even if those other plots aren’t requesting to use the resource. 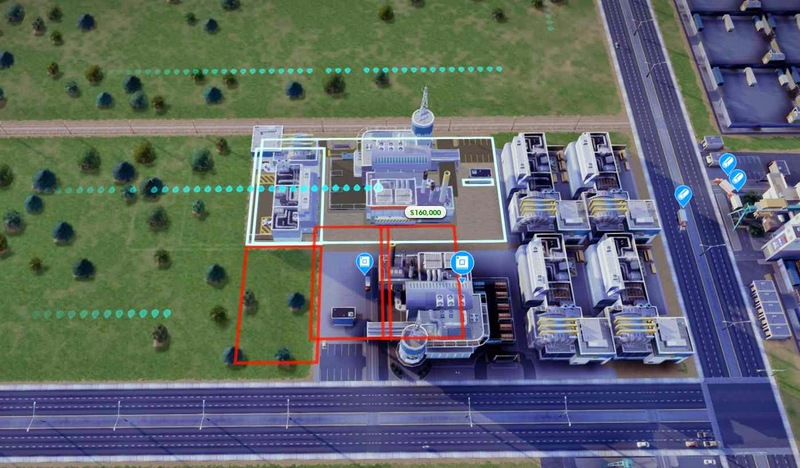 You may find yourself building 2 or 3 power plants to replace what would normally be 1 power plant located within your city. The same goes with sewer, water and trash. 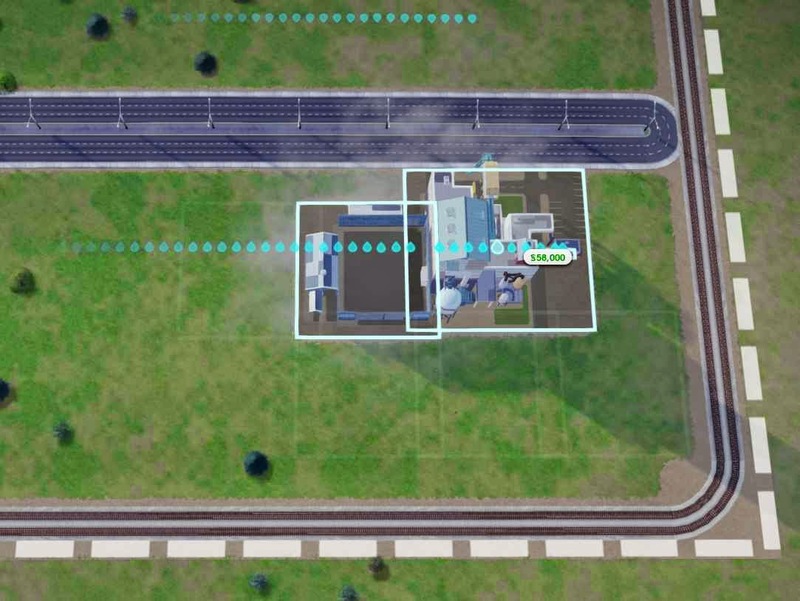 There is one huge benefit to locating your power plant in a neighboring city, which is that you don’t need to worry about your oil trucks making it to the plant in time. 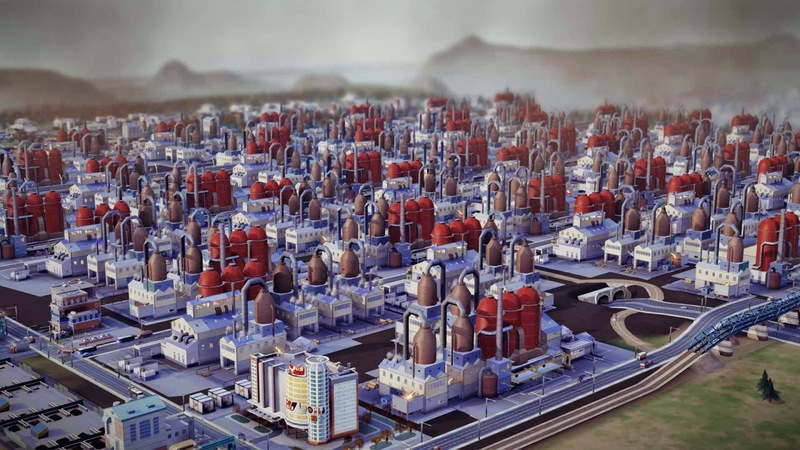 If you have a power plant within your city you will occasionally lose power due to lack of fuel for the plant. 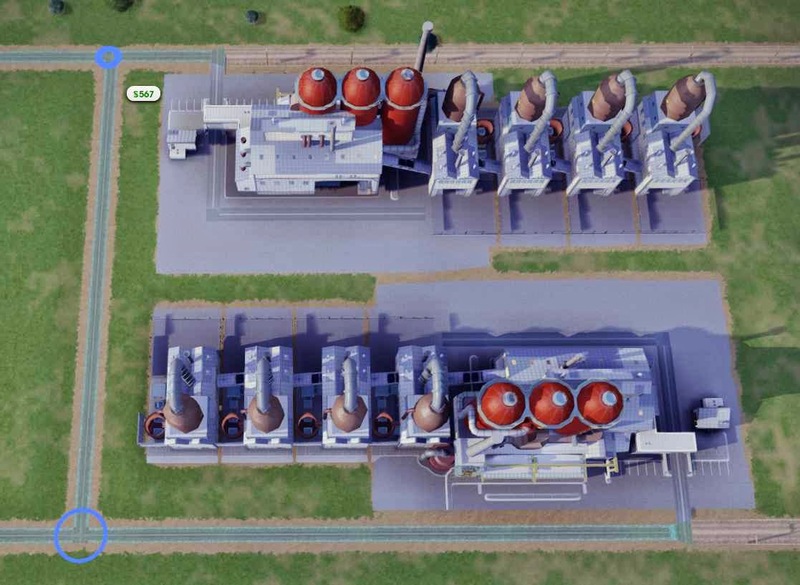 With an offsite power plant you’ll never have to worry about that again. You can purchase your water from neighboring cities, and from what I can tell, it doesn’t decrease the water table in the city you’re taking water from. Free water for the taking (minus a small fee...so almost free). 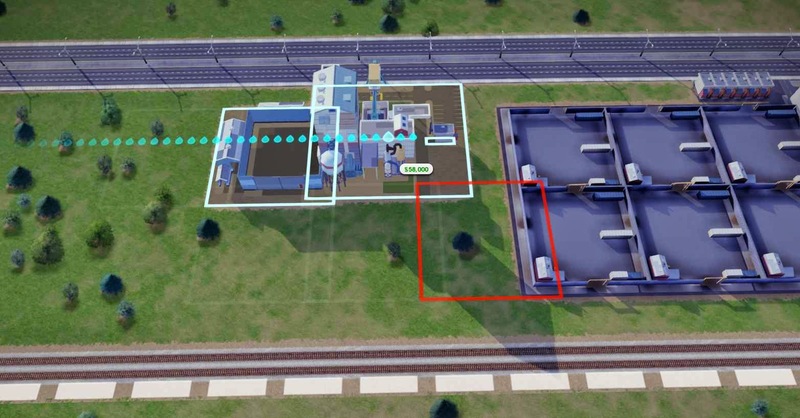 Sewer can be sent to neighboring cities as well, saving space to pack more sims into the city you’re trying to max out. Relying solely on offsite trash service can be a dangerous game to play due to the potential for traffic to clog up your highways and prevent the trash trucks from arriving. 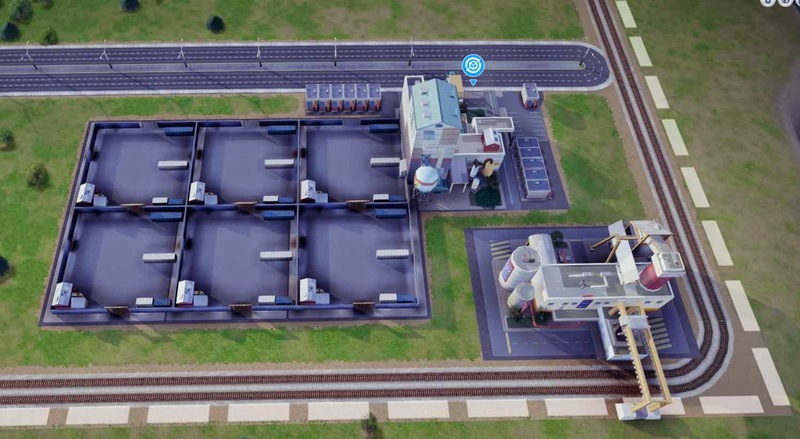 It’s best to have at least one dump with all four trash incinerators located within the city, and let your other cities handle the excess. 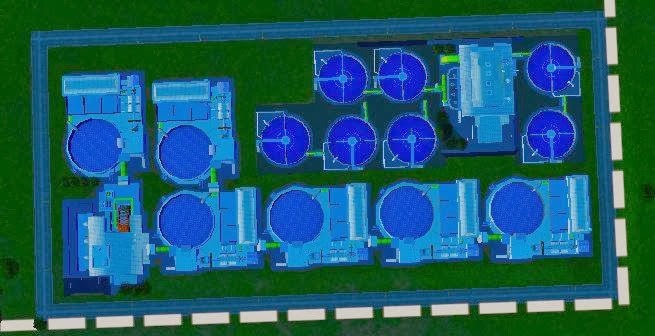 You may even need two dumps, but when you get close to maxing out your plot, you can delete one and replace it with residential to squeak out the final couple of thousand residents. Note that when the trash overflows, it increases the chance of sims getting sick from ground pollution. This also increases your health costs by needing Wellness Centers and planting of trees to clean up the germs. 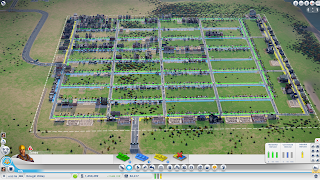 In the early stages you can definitely get by with police, fire and hospitals from the neighboring cities if you've built those up ahead of time. As traffic builds though, you’ll find that you need to have at least one of each within your city. You can also get by with one police precinct and one hospital, but it definitely helps to send resources from the other cities as well. I like to use the preventative add-ons like detective units, crime prevention to keep problems at a minimum. I do the same with the hospital add-ons. 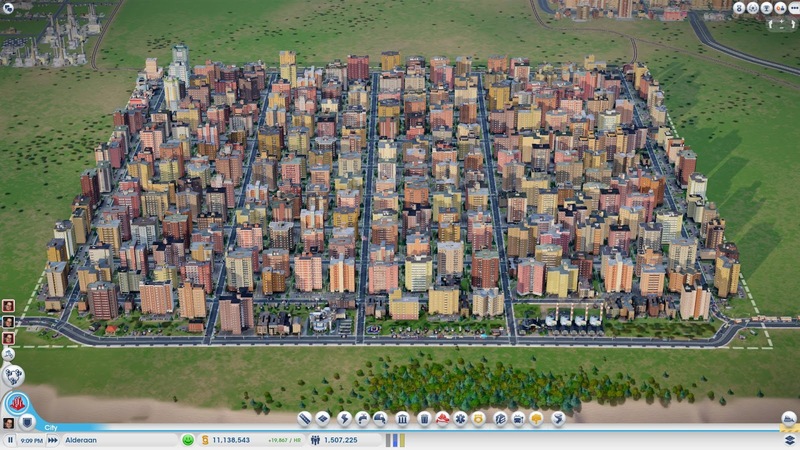 When I start out I usually have a 1.25:1 Residential to Commercial ratio. I do my layout all in dirt roads, and let it build up. When you get enough money, go ahead and upgrade to medium density. Then you just wait... Wait until all of the blocks are filled up with medium density buildings. Once you reach max capacity at medium density, then you can go ahead and upgrade your roads to high density. Again the key is to wait. Wait until everything is full with high density buildings. Let everything develop as is. 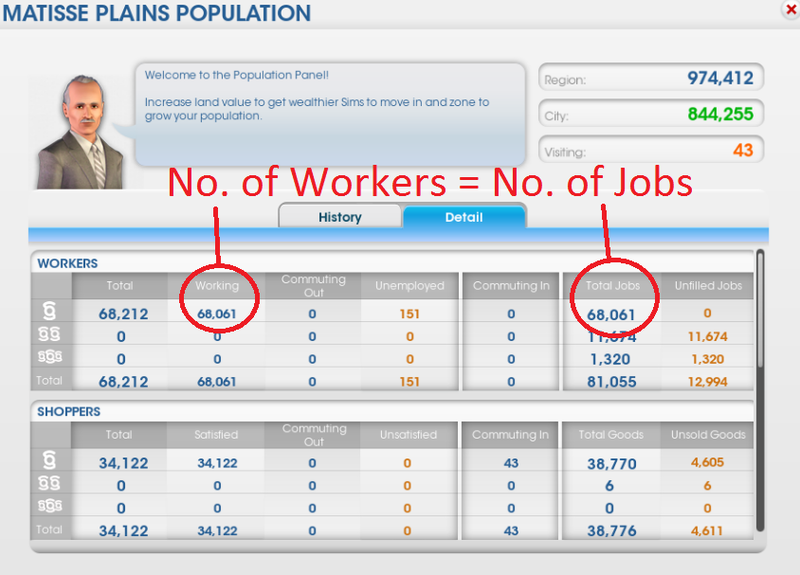 You may have an inbalance of workers and jobs. Now it's time to convert your commercial to residential. 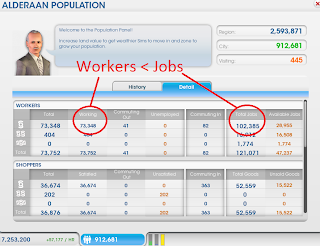 Start demolishing commercial and swapping it out for residential until you reach a 1:1 balance of Workers:Jobs in your population details. Once you're at a worker-job balance, you'll want to wait some more so that the entire map fills up with well paid, happy employees. I think of this stage as filling a piggy bank. You're filling your sims up with money and happiness to keep them happy for as long as possible because you're going to be firing them (you'll be demolishing their workplace) and they won't have any income. 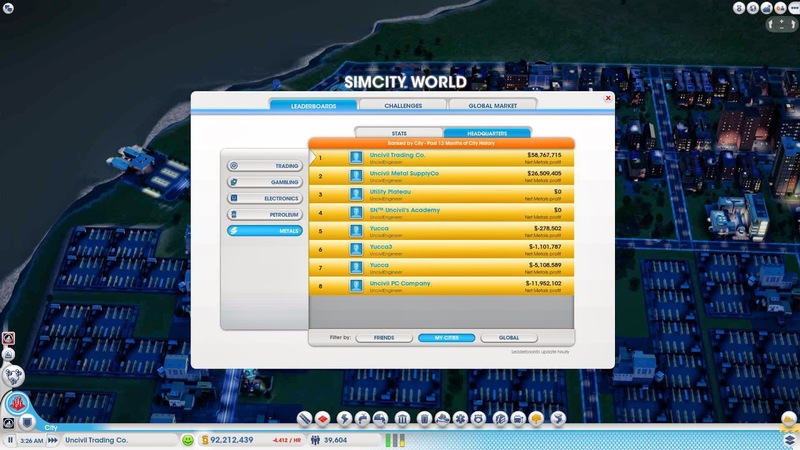 You can use the "Residential Map" to see the happiness and money levels rise. Finally, when you're ready for the final push, start demolishing commercial and replacing it with residential. You can use the "Commercial Map" to help you find where all the commercial spots are. Drop your tax rate to 0% so that sims keep moving in and remain happy. 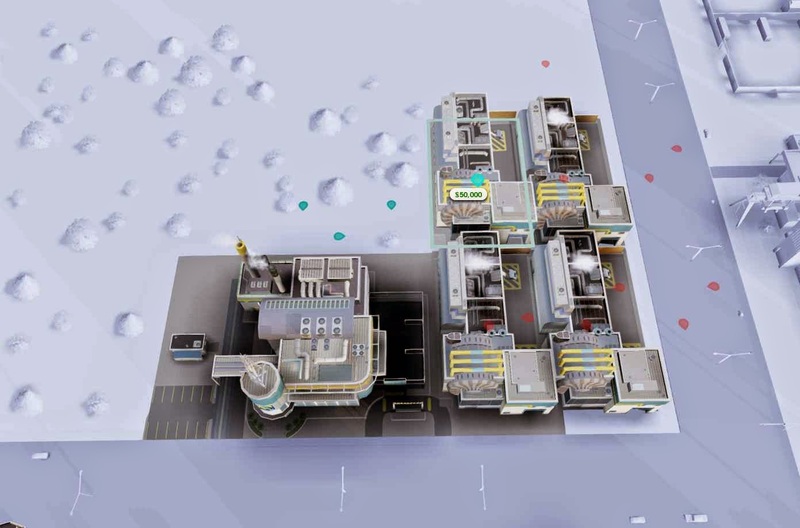 Finally, you can demolish all your industrial and replace it with residential as well. 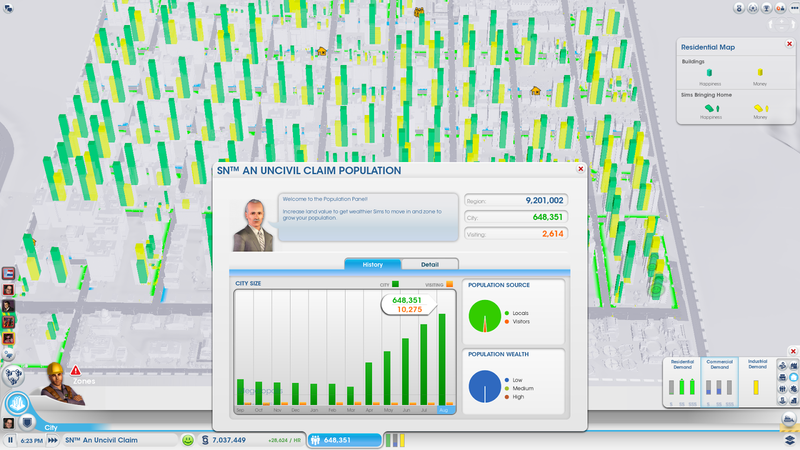 If everything goes well, and you have an efficient layout, you should surpass 1 Million sims and go as high as even 1.6 Million (the highest amount I've seen, which was by Brian Boyd). If the sims lose all their happiness and money they will eventually become homeless. Hopefully by the time this happens you will have reached your population goal. If you have not reached your goal, it's time to put commercial/industrial back in and go back to try to achieve a worker/job balance (step 6). 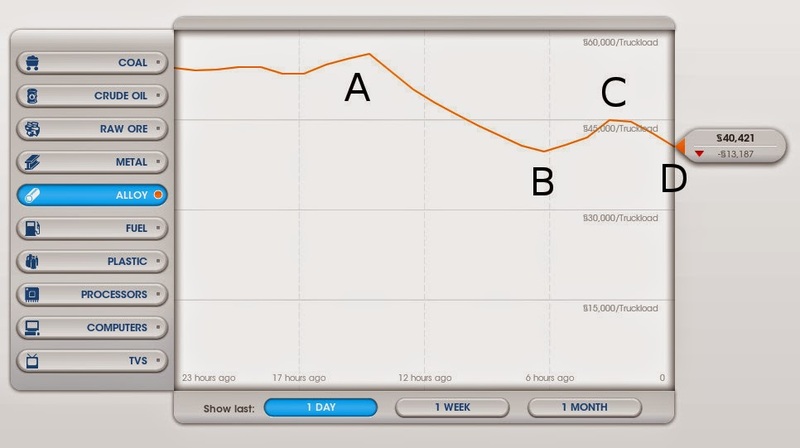 In order to avoid this situation, you can use the "Residential Map" to monitor the happiness and money levels over time. If you see buildings start to run out of money and happiness, they're about to move out and turn into homeless. You can demolish the building to avoid this situation. Much of this information was figured out by various members of the Sim Nation Guild. This guide was originally compiled by Dee Finney, and I've updated it as new information has arisen. It lists how to properly space roads so that you can build efficiently, without a lot of wasted space. For proper spacing, you will use DIRT ROADS as a "pencil line", and draw them to the specified length (dollar amount) as noted below. 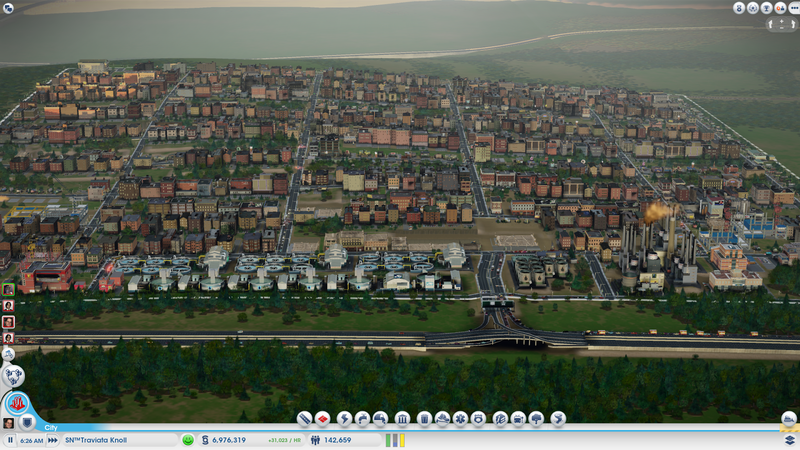 You can upgrade those roads later to medium or high density when you're ready to increase your density. You do not want to use high density roads or avenues for this. It's too expensive and the dollar amounts will be much different. The numbers above were based on flat land. If your plot has some slope to it, you'll need to add another $5-$10 per side. For example, instead of $244 (single depth), I like to use $250. For double depth, I use $440. These numbers are rounded off so they're a little bit easier to remember too. Dan Stenn of the SimNation Guild did the original calculations which are explained in the video below. SkyeStorm had slightly larger numbers, which you can see in his 60 second tip below. Draw dirt road from corner of map costing $2015 - $2016. Then draw a road toward the center of map costing the same ($2015 - $2016). Then draw a road costing $440 - $441 from the center point if you want to make back to back HD streets. Draw slightly longer roads ($466 - $486) if you will be using avenues. Draw dirt road from corner of map costing $2015 - $2016. Then draw a road toward the center of map costing the same ($2015 - $2016). (same as above) Then draw a road from the center point of the city costing $300 minimum so that the circular road will accommodate 3 HD buildings. Switch to circle road tool and place your mouse at the end of the $300 road. Drag your mouse back to the center point of the map to create your first circle. Switch back to straight road tool, and draw an extension road off of the $300 road costing $462. Switch back to circle road tool, and drag your circle road back to the center point in the city to create your second circle.